Still with 220 grams of close-fitting comfort and 26 air intakes for complete ventilation. Cycle with all your energy while keeping your head fresh, cool and safe. The KASK Mojito Helmet is the lightest and most compact of the KASK helmets, with a superbly comfortable fit system. 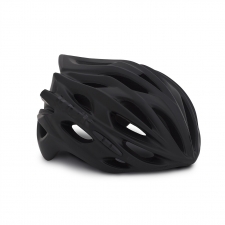 Light weight: At only 220 grams the Mojito Helmet is one of the lightest helmets on the market. 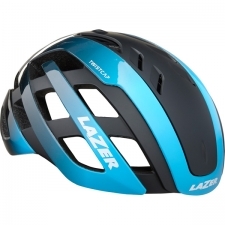 Incredibly Comfortable: The helmet incorporates the unique KASK hinged adjustment system that allows for both size and up/down adjustment, which together comfortably cradle the nape of the neck. Fully Adjustable: The helmet size can be adjusted using either the dial or finger push system. This system also includes ventilated, non-stick pads. Ventilated: The Mojito uses 26 large air vents to provide unsurpassed ventilation, a design geature made possible by the reinforced helmet frame. Hygienic: The Mojito uses an easy-clean leatherette chin strap, and the internal pads are made from Sanitized fabric which draws perspiration from the heads. These pads are removable and washable. The KASK Mojito is a top of the line helmet, offering unsurpassed comfort and fit, together with all-Italian styling and manufacture. 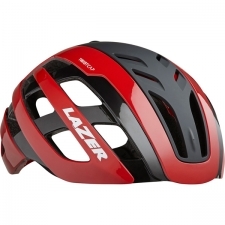 One of the safest, best fitting and most stylish range of cycling helmets available globally. The all-Italian-made KASK helmets are the choice of Team Sky, where no secret is made of the fact that every element has been selected to deliver a winning advantage for the team. Buy your Kask Mojito X Road Helmet - Matt Dark Blue (Blue Mat) from Revel Outdoors.